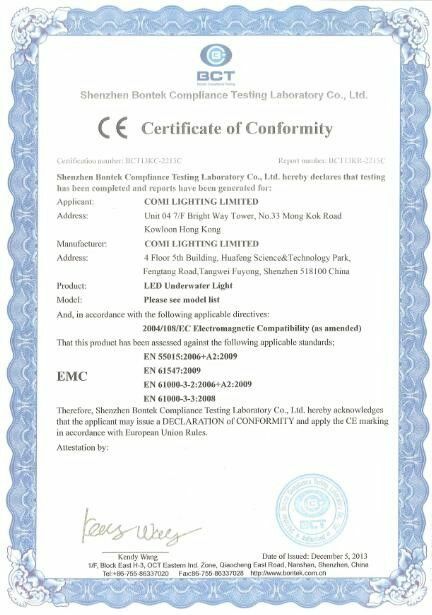 The new waterproof AC high voltage RF controller CL-SR-1009HT(WP) is a great innovation designed with 100-240VAC wide input and 100-240VDC output, IP67 waterproof rating to control high volt RGB LED strip lights for indoor and outdoor large projects that have strict waterproof requirements. 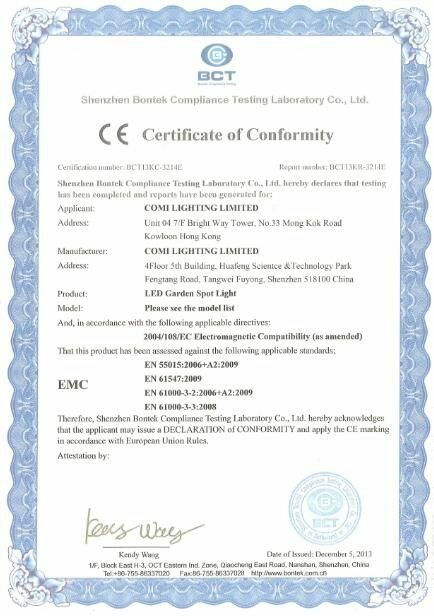 This patented high voltage control technology ensures stable and reliable control with smooth dimming and RGB color tone adjustment for high voltage RGB LED strips. 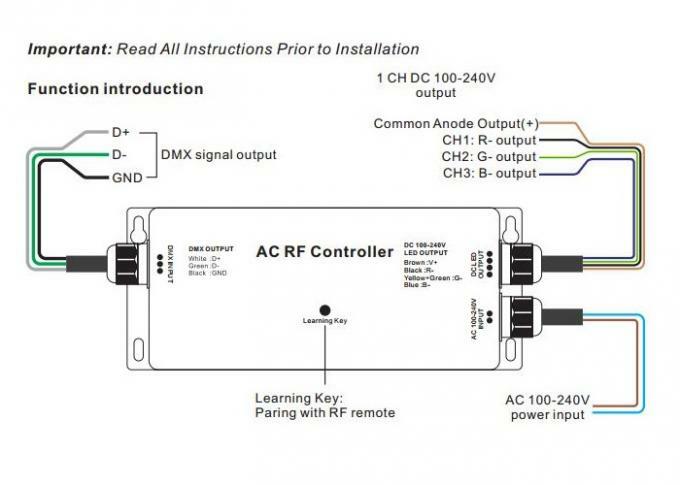 With 3 channels, total 5A output, the maximum output of the RF controller can be up to 1,000W. 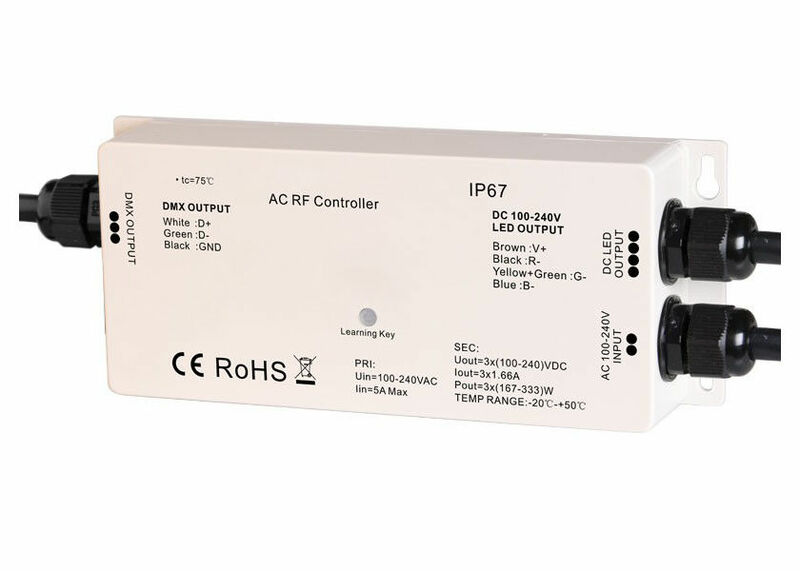 The RF LED controller is designed with unique RF-DMX function which enables it with DMX signal output and works with DMX512 decoders. It is compatible with all our SR-Series perfect RF series RGB remote senders and wall mounted senders. IP67 rating enables the high volt. 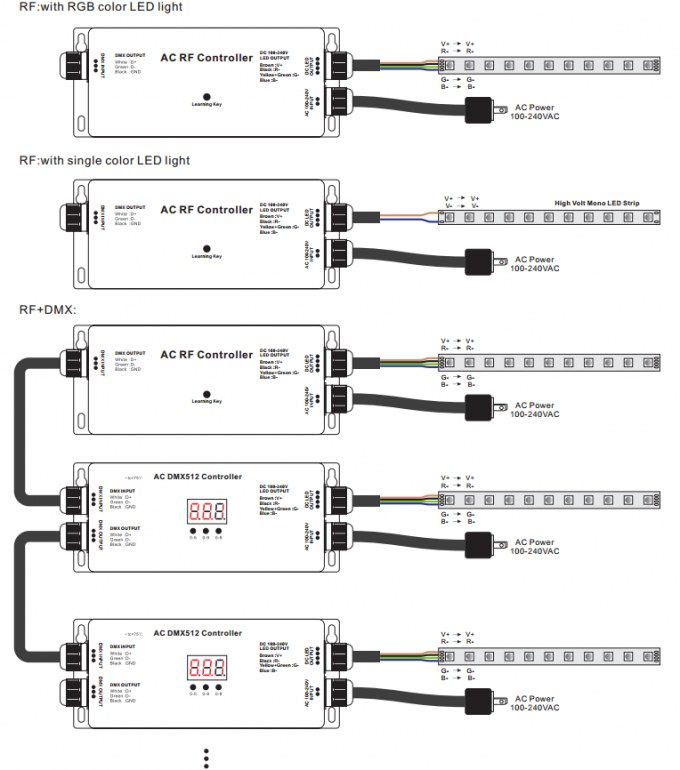 LED strip controller to be used in outdoor and damp environment and great solution for outdoor lighting projects. Please contact us to get product specification and manual, and Read All Instructions Prior to Installation.